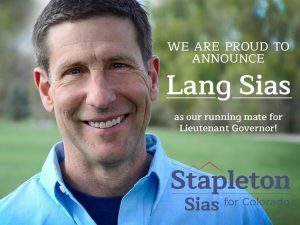 In reporting Republican Walker Stapleton’s pick for lieutenant governor, the media were quick to jump on the politics of the choice and the political background of Lang Sias of Arvada. But what most failed to mention, Sias is a working man. He’s a pilot for FedEx and a military veteran. He also earned a law degree and specialized in technology, and yes, he currently serves in the state House. 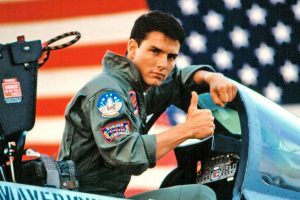 Did we mention Sias was a former Navy Top Gun pilot? Because that is seriously cool, and we will be repeating that a lot this political season. He also used to be a Democrat, but saw the light back a couple of decades ago and switched parties. Today, Sias is what the media would call a moderate Republican, and that’s what they are hailing him as — a moderate pick. Democrats were quick to try and rain on the Republican parade by accusing the dynamic duo of plotting to steal everyone’s health care, kill cancer patients, and end abortions. Not only is it a contrary message, but it’s full of ugly lies devised by a desperate Democratic leader and echoed by party sycophants to divert attention from their candidates who are desperate to appeal to voters outside of Boulder. Politically speaking, far-left millionaire Jared Polis and his leftist running mate, an executive with a multi-million dollar foundation, have a lock on the wealthy, elitist Democrat vote. Meanwhile, Stapleton has continued to reach out to all Coloradans, and proved it yet again with selection for running mate. We whole-heartedly applaud Stapleton’s choice with Sias, and are excited about this winning Republican ticket.